When Morning Joe host Joe Scarborough was not happy that President Barack Obama warned Christians and other faiths not to get on their "high horses" about Islamic violence given the history of their own crusades it appears he's in total denial. He's a bright guy so for him to be baffled by "this stupid left-wing moral equivalency" smacks of right wing fundamentalism. This week Joe and Mica interviewed NYT Magazine's Eliza Griswold on Morning Joe to discuss her piece on persecution of Christians in the Middle East and again the crusade word reared its ugly head. Perhaps Joe needs to be reminded that the Crusades began in 1095 with the call of Pope Urban II to recover Jerusalem from Muslim rule. In the third Crusade alone over 2,700 Muslim prisoners were massacred by Richard the Lionheart. This Crusade been well documented and the memory still bedevils the Moslem mind as they still remember aggressive Crusaders conquering Muslim or Arab lands. No wonder that Arab Nationalist leaders aspire to be a Saladin; the man who recaptured Jerusalem. When are we going to realize that all religious wars originated with the gods? These gods were war lords who should not be worshiped or died for. Long before man warred with man, the gods battled among themselves. Indeed, it was the Wars of the Gods that the Wars of Man began between the descendants of the two Sumerian gods Enlil and the descendants of Enki who eventually became merged as YHWH; the god whose revered by three major religions. The current Middle Eastern bloodbath is an ancient story of man's wars on behalf of the gods. Nearly three hundred times in the Hebrew Scriptures and twice in the Christian Greek Scriptures, God is given the title "Jehovah of armies." (1 Samuel 1:11) The destructive potential of this army is awesome. (Isaiah 37:36) The destruction of humans cannot be God's Will. Religions will have us believe that God's wars are different to petty human conflicts. Religions create military and political leaders to attribute noble motives to their greed and corruption. In the spring of 1947, a shepherd boy discovered a cave that contained The Dead Sea Scrolls carefully bound and hidden away during the years when Judea challenged the might of the Roman Empire.....One of the most dramatic scrolls envisions a Final War between the Sons of Light Against the Sons of Darkness, it predicts a conflagration that will engulf Mesopotamia. The scroll prophesied the God of Israel Jehovah shall engage side by side in combat and carnage. 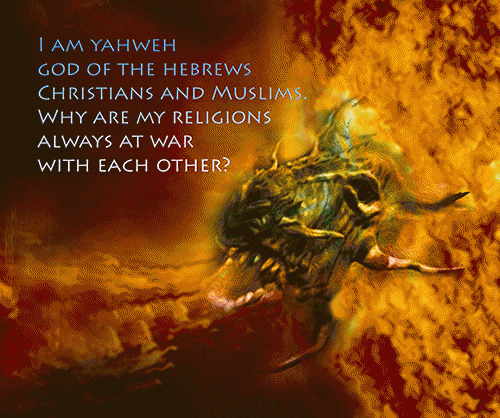 Does that mean that Jehovah, the god of Jews, Christians, and Muslims is omnipresent now? These visions are still being realized as we see the local battles with Israel's immediate neighbors, which are increasing in ferocity. Can the prediction be stopped before the whole ancient world is engulfed in blood? An example of this was in Germany when Adolph Hitler wanted to pass 'anti-terrorist' legislation. Hitler wanted the power to detain people without question and hold them in custody without a court hearing. The people of Germany wanted no such thing. So Hitler had the Reichtag building burned to the ground. He then blamed terrorists for this terrible crime. The Tarot is the hope for future survival as it is an antidote to the Hegelian Dialectic because we can access our other selves to escape from the Matrix. The Dialectic is the framework for guiding our thoughts and actions into conflicts that lead us to a predetermined solution that we don't necessarily agree with. If we don't understand how the Hegelian dialectic shapes our perceptions of the world, we don't comprehend that we're prisoners trapped in the Matrix. The Matrix tactic of divide and conquer is the modus operandi of religious crusades. 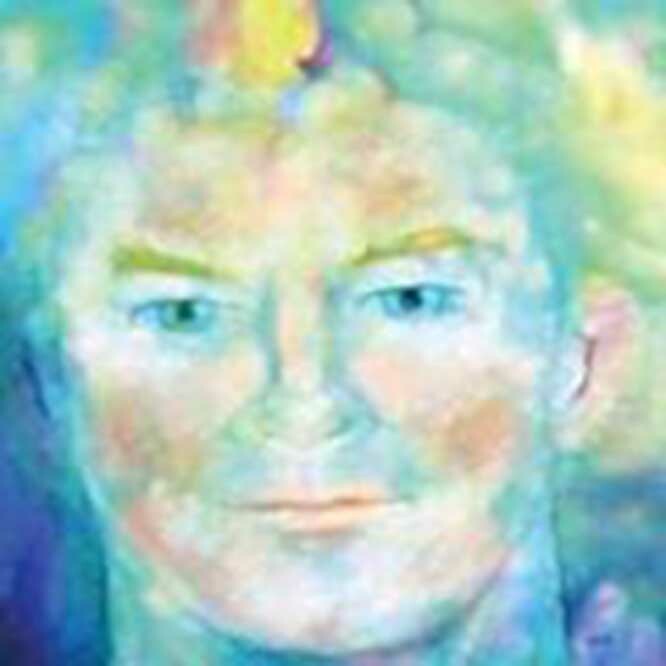 We are programmed to believe that as individuals we are in competition with everyone around us, including natural laws. This denies the truth that life on this planet is infinitely inter-connected. Without clean air, clean water, healthy soil, and a global sense of community we cannot survive here. While the illusion of separateness gratifies the ego's need to control, in reality it only serves to dominate and separate us. We all have a duty to act in the best interests of humanity, let's begin NOW! Hugh Colmer and the Crosscircle Group has published, "The Galactic Superwave Tarot", "It's a Pagan World", " Keys to the Science of the Soul", "Dragon Lore Decoded", The Ultimate Multiverse Tarot and "The Gods were Dinosaurs".